On February 2, 1943, an entire German army surrendered to the Soviet Union at Stalingrad, marking the greatest military defeat the Nazis had suffered to date. The Battle of Stalingrad was a defining moment of World War II. It stands almost apart from the war as a legend unto itself, like Pearl Harbor or D-Day. It dealt a critical blow to the myth of Nazi superiority, was a turning point in the war and the foundation for a national legend. If people in the West know anything about the Soviet-German clash during WWII, it is likely through the story of this battle. It was perhaps the bloodiest of the twentieth century, costing the lives of over two million soldiers and civilians in the span of five months. Seventy-five years later, so much legend has been wrapped around the story that it often obscures the facts in favour of simple narrative. Here is a look at the meaning of both the battle and the legend, and some overlooked facts about Stalingrad. In autumn 1942, the city of Stalingrad (now Volgograd), marked the furthest reach of the German invasion of the Soviet Union. A vital shipment point on the Volga River, its capture would effectively cut Moscow off from vital oil supplies in the south. For Adolf Hitler, it had the added allure of being named after his arch-enemy, Josef Stalin. From August through November, thousands of German soldiers hurled themselves against the city’s defences. 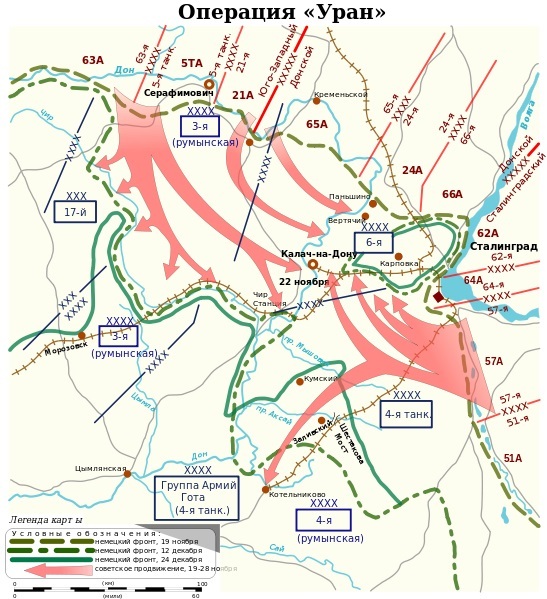 They pushed the Red Army to within metres of the Volga River at some points. Yet the city held. Then on November 19, 1942, the Soviets launched a devastating counterattack. They trapped an entire German Army, 300,000 troops, in and around the city. Cut off from supplies and suffering from the harshness of Russian winter, the Germans struggled on until surrendering on February 2, 1943. At that time, only 90,000 Germans remained to be taken prisoner. Only 5,000 would make it back to Germany from forced labour camps in the Soviet Union, some returning years after the war ended. What most people know about Stalingrad probably comes from movies. The three most well-known pictures also encapsulate the different types of legends that have built up around the battle. The Cold War meant limited access in the West to Soviet sources. What was available was heavily censored. 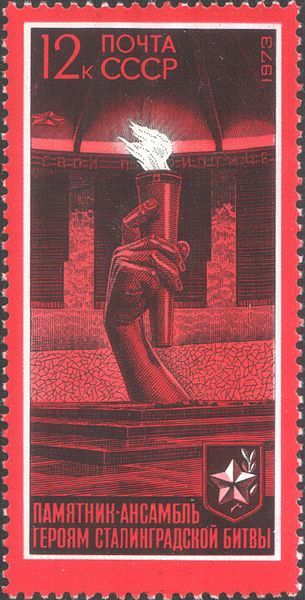 For years, the German point of view on Stalingrad largely informed the English-speaking world. The 1993 German film Stalingrad follows the trials and tribulations of a doomed unit of ordinary German soldiers over the course of the battle. It depicts both their atrocities and their suffering. The battle becomes a symbol for the futility and horror of war. By contrast, the Soviet, and later Russian, view of Stalingrad is of a national proving ground. It was the moment a national identity was forged through sacrifice. In this, there are similarities to Vimy Ridge for Canadians or Gallipoli for Australia and New Zealand. The battle was a test of character for the ordinary Russian. 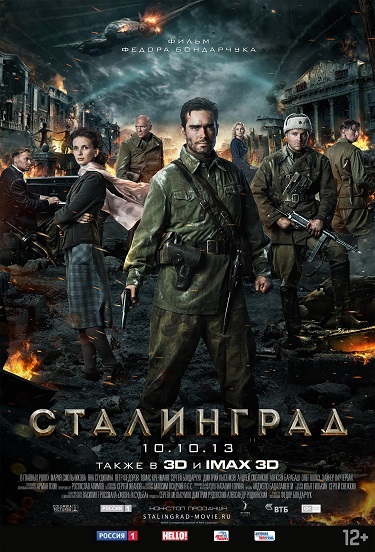 The 2013 Russian blockbuster Stalingrad is the pinnacle of this mythologizing. Its melodramatic plot, heroic band of Russian underdogs and over the top action sequences were presented in IMAX 3D. It says something about the Soviet/Russian conception of the battle that the film was criticized in its home country for not being patriotic enough. Probably the most famous depiction of the battle is Enemy at the Gates. 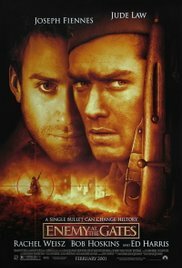 The 2001 film starring Jude Law does not focus on suffering or patriotism. It is much more human in scale, telling the story of an alleged sniper duel over the course of several days. It perpetuates myths of its own, of illiterate Russian peasants forced to fight by a brutal regime and ruthlessly exploited for Communist propaganda. Not surprisingly, there were attempts to ban its showing in Russia. The way we view Stalingrad continues to be shaped by politics today, which makes it as difficult as ever to separate the legend from the reality. It has also led to some interesting facts about the battle being left by the wayside. Victory at Stalingrad was earned by the Red Army fighting a “German style” of warfare. Concentrated tank forces broke through enemy lines and cut off large numbers of enemy troops in a pincer movement. The rapid Soviet advance, continually keeping the enemy off-balance, was reminiscent of blitzkrieg. While a major victory, the battle was arguably not as decisive as other battles on the Eastern Front. The Germans once again went on the attack the following summer. Only after the Battle of Kursk in July 1943 was Germany set on the path to ultimate defeat. Large numbers of women fought in every conceivable combat role. The Red Army also included many non-Russian ethnic minorities. This was one aspect accurately depicted in Enemy at the the Gates. Red Army soldiers were not mostly mindless automatons or hapless cannon fodder, forced to fight by Communist authorities. There were many highly-educated believers in Communism in their ranks. While many others disliked the Soviet regime, they were motivated by love of country or hatred of the enemy, rather than commissars pointing guns at them. Stalingrad: The Fateful Siege, 1942-1943, by Antony Beevor. Probably the most influential account in the West, written by one of the world’s preeminent historians of WWII. Enemy at the Gates: The Battle for Stalingrad, by William Craig. The battle told largely through the points of view of those on the ground. One story, about sniper Vasily Zaitsev, was the basis for the movie of the same name. Stalingrad: The City That Defeated the Third Reich, by Jochen Hellbeck. Ironically, it is a German scholar who has shed light on a vast trove of Soviet accounts that have previously been unavailable in the West. Based on interviews given within days of the battle, it gives a rich and nuanced view of the Soviets on the ground. The Battle of Stalingrad forms the backdrop for my novel Sparrow Squadron. It follows a unit of women pilots sent to the front line in September 1942, as the battle was entering its critical moments.